At first look, the Sea of Okhotsk to the north of Hokkaido is just one of the world's many small seas. But in winter, this sea and the Oyashio current area to the east are covered with sea ice (drift ice). This ice not only makes this area one of the most abundant fishing grounds in the world but is responsible for a wider life cycle whose effects extend throughout the whole of the Pacific Ocean. Did you know that the Sea of Okhotsk is referred to as the “heart” of the Pacific Ocean? Just like the heart pumps oxygen all around the body, the Sea of Okhotsk “pumps” oxygen, cold water and nutrients into the Pacific Ocean. The fate of the largest ocean in the world depends on this tiny sea to the north of Japan. An essential element of this is the sea ice that forms on the Sea of Okhotsk in the winter. Usually called drift ice, this sea ice occurs when the cold air freezes the surface of the sea. It ranges from 10cm to 1m thick. Unlike parts of the Arctic Sea, which remain frozen for most of the year, seas like the Sea of Okhotsk only freeze in winter. The Sea of Okhotsk has a lower latitude than any other frozen sea in the northern hemisphere. 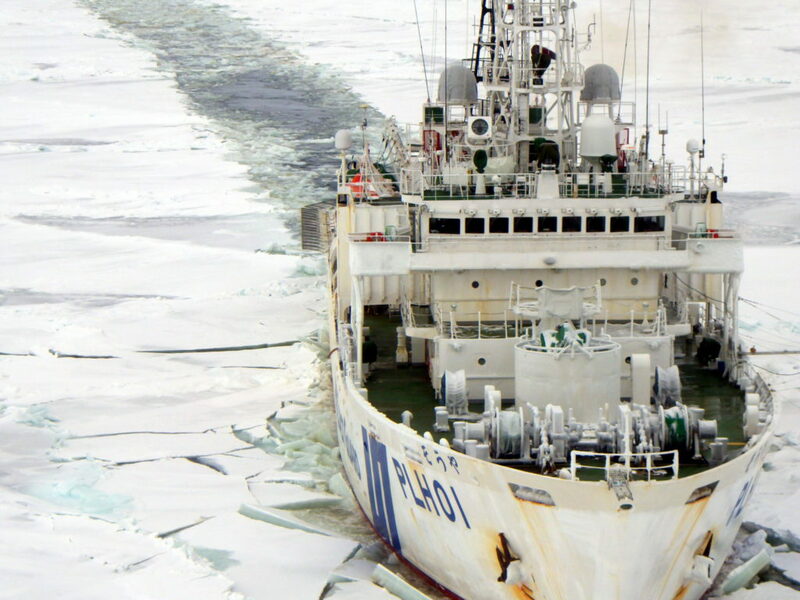 There are two reasons why the Sea of Okhotsk freezes despite its low latitude. The first is because to the west of it are Siberia and the far east of Russia, the areas of the northern hemisphere that reach the lowest temperatures in winter. The cold northwesterly winds from these areas are the biggest reason why the Sea of Okhotsk freezes. The other reason is the Amur River, which runs out to the Sea of Okhotsk. 8300 cubic meters of fresh water flows into the Sea of Okhotsk from the Amur River every second, lowering the salt concentration in the Sea of Okhotsk. 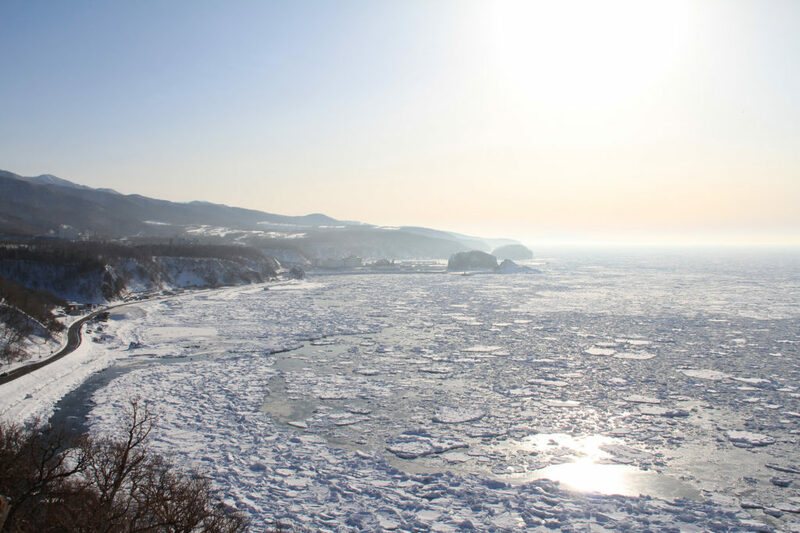 Generally, the higher the salt concentration of water, the colder it needs to be before the water will freeze, so the lower salt concentration caused by the Amur River causes the Sea of Okhotsk to freeze more easily than other seas. The sea ice on the Sea of Okhotsk is mainly formed to the north of Sakhalin, near the Eurasian continent. The sea ice formed here is carried south by the northwesterly winds and the East Sakhalin current that flows south along Sakhalin’s east coast, and eventually reaches the Okhotsk coast of Hokkaido. Many people think the sea ice is caused by the Amur River freezing, but this is not correct. While the Amur River is one of the reasons why the Sea of Okhotsk freezes more easily, the sea ice itself is caused by the sea freezing. And this has a greater significance than you might think. Did you know that the sea ice is made of fresh water? Because of this, some people think that it is caused by the Amur River freezing. Others may wonder how it could be made of fresh water when it’s formed by the sea freezing. It all comes down to the physical and chemical properties of water that occur when sea water freezes. The structure of ice crystals consists of an orderly arrangement of water molecules, which are made of oxygen and hydrogen atoms. The various substances found in seawater cannot enter that crystal arrangement. This means that when seawater freezes, the salt from the seawater is expelled from the sea ice into the seawater underneath. 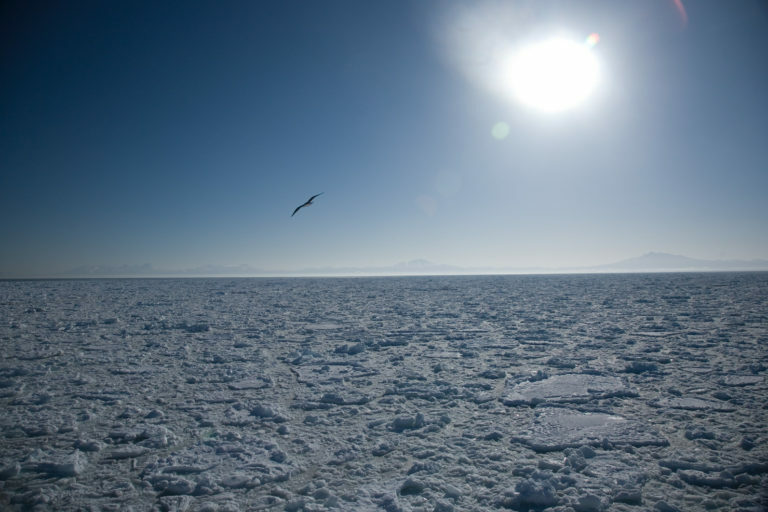 As a result, the sea ice on the surface of the sea becomes fresh water and the seawater underneath becomes saltier. This makes it colder, heavier and full of oxygen dissolved from the air. This heavier seawater sinks and eventually reaches the sea floor of the continental shelf. In short, in areas of the sea where sea ice forms, the seawater is mixed up by a downward flow of water. This is called thermohaline circulation in oceanography. This cold, heavy, oxygen-rich seawater dissolves a variety of substances that have settled on the continental shelf as it is carried to the waters of Hokkaido by the East Sakhalin current. It then changes direction and flows north, heading through the Bussol Strait between Urup Island and Simushir Island in the Kuril Islands and then to the Oyashio current in the North Pacific Ocean. This is how the cold, heavy water created by the thermohaline circulation in the Sea of Okhotsk ends up in the intermediate waters of the Pacific Ocean. 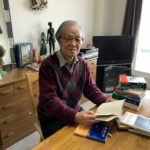 Research has shown that the intermediate waters of the North Pacific Ocean flow from the Oyashio current near Japan throughout the whole of the Pacific Ocean, all the way to North America. This means that the drift ice that forms on the Sea of Okhotsk every year supplies cold, oxygen-rich water to the Pacific Ocean. That’s what makes it the “heart” of the Pacific Ocean. The Oyashio current, which flows east from northern Japan, through the Kuril Islands and out into the Pacific Ocean, is one of the best fishing areas in the world along with the Sea of Okhotsk. It is home to salmon, Pacific saury and European pilchard, which attract whales and orcas from further south. It is quite possibly the richest sea in the world. How did this area of sea become so rich? One reason for this is iron carried from the Amur River. The vast wetlands around the Amur River basin supply large amounts of iron to the river. The Amur River then carries this iron to the Sea of Okhotsk, where it is deposited on the continental shelves. In a normal sea, the iron would simply build up on the continental shelves, but the thermohaline circulation of the Sea of Okhotsk and the East Sakhalin current carry the iron through the Sea of Okhotsk and then the Oyashio current, where it is spread far throughout the Pacific Ocean. So how does iron nourish the sea? To explain this, I must first explain the phytoplankton that form the base of the sea’s food chain. Found near the bottom of the sea, phytoplankton are the most crucial element in the nourishment of sea life. They feed by photosynthesis, using sunlight, carbon dioxide and nutrients dissolved in the sea, such as nitrogen, phosphorus and silicon. Phytoplankton are a food source for zooplankton, which feed small fish and then the small fish feed larger fish and whales. 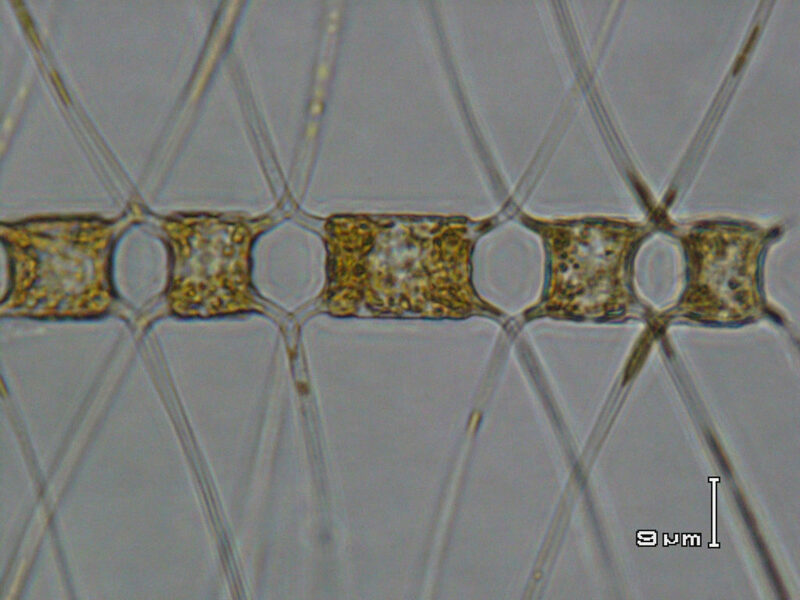 While nitrogen is an important source of life for phytoplankton, phytoplankton cannot actually make efficient use of it under all conditions. They use iron to take the nitrogen in, using the iron as a reducing agent to convert nitrogen into a form that can be taken in easily. But there is a problem. Most sea ice, particularly the sea ice that is far from land, does not melt. This means that the phytoplankton must make do with the limited iron that comes from the sky through rain and snow, or is carried from oceans far away. For the reasons mentioned above, the Sea of Okhotsk and the Oyashio current efficiently distribute iron from the Amur River. This is the biggest reason why these areas of sea are so rich. 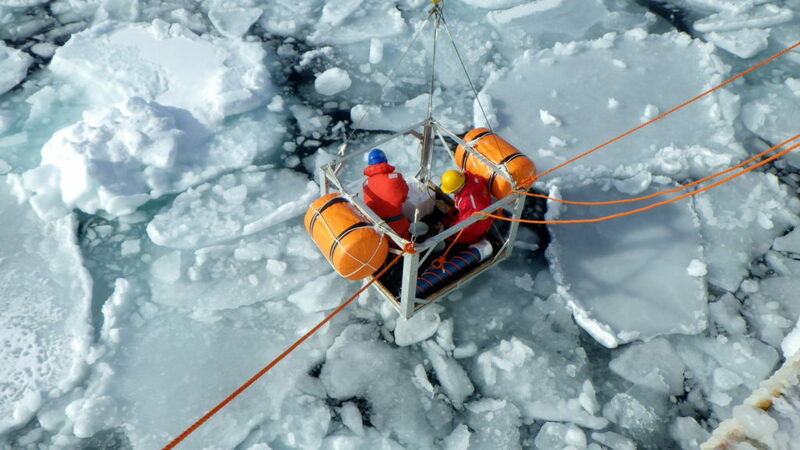 The sea ice in the Sea of Okhotsk functions as the “heart” of the Pacific Ocean, keeping the ocean fresh and cold through thermohaline circulation. That thermohaline circulation also spreads iron from the Amur River, making the Sea of Okhotsk and the Oyashio current one of the best fishing areas in the world. 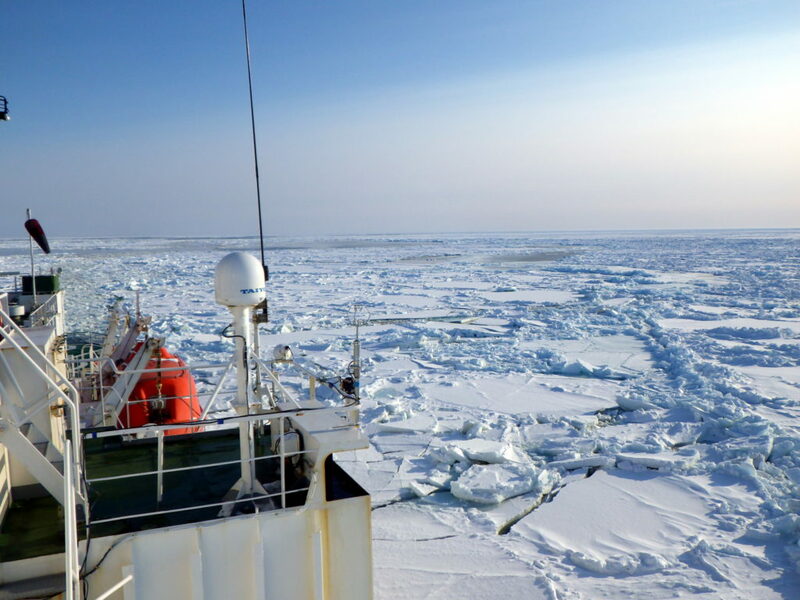 The sea ice’s benefits are immense, far more than the eye can see, and they extend not only to the Sea of Okhotsk but through the Oyashio current to the Pacific Ocean. 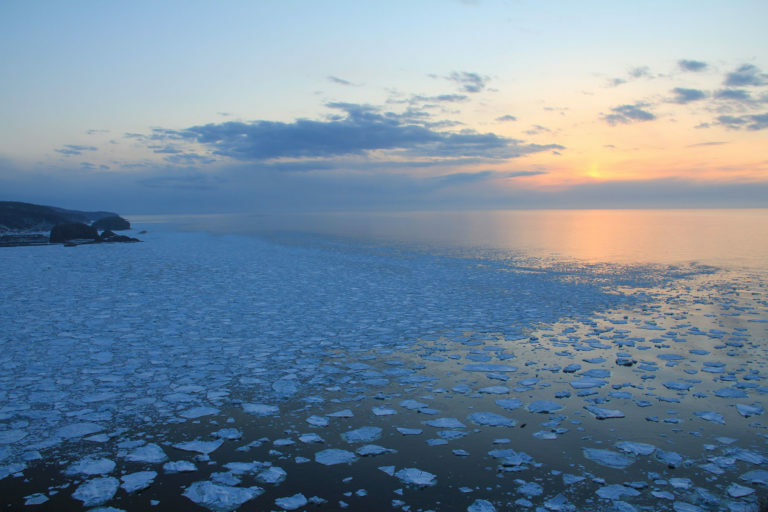 Since the mid-20th century, the drift ice in the Sea of Okhotsk has been gradually decreasing. This is thought to be because of global warming. It is clear that this is causing thermohaline circulation to weaken, and the future effects will be felt not only in the Sea of Okhotsk but throughout the Pacific Ocean. We need to keep a close eye on these changes and think about how we can protect this vast natural mechanism. 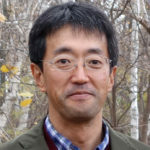 I am a geographer and an environmental scientist who studies roles of rivers on estuary ecosystem and productivity in the surrounding area of Hokkaido. 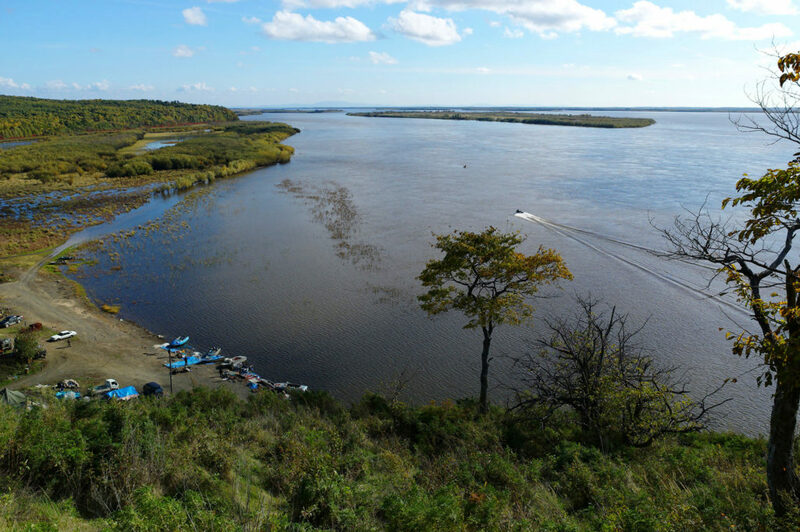 I am particulary interested in the Amur River where I have conducted several projects with Chinese and Russian colleagues. I study the effects that rivers have on marine productivity in the seas around Hokkaido. In particular, I work with Russian and Chinese researchers on studies about the effects of the Amur River on the Sea of Okhotsk. 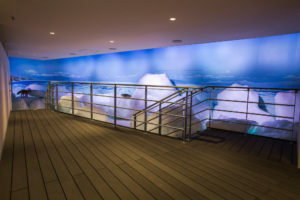 A museum where you can learn all about the science of the drift ice on the Sea of Okhotsk. Okhotsk Garinko & Tower Co.,Ltd. A facility where you can look at the drift ice on the Sea of Okhotsk. See a 360° panorama of the Sea of Okhotsk and even under the sea! 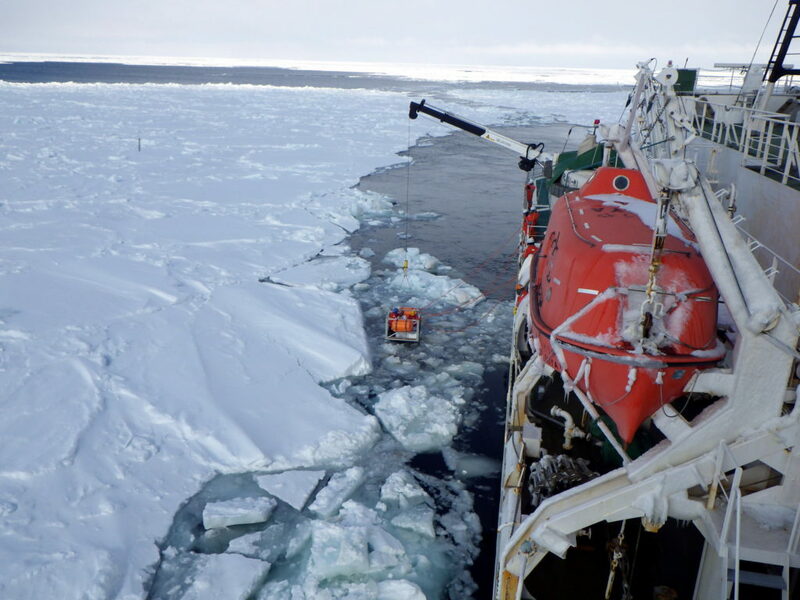 You can also travel through the drift ice on the Garinko-go II icebreaker ship. Take a bus bound for Engaru from Mombetsu Bus Terminal and get off at the "Okhotsk Tower Iriguchi" bus stop, then walk for 10 minutes. You can also get off here from a connecting bus from Monbetsu Airport. A free transfer service by electric car, etc. is available from the Garinko landing to Okhotsk Tower. 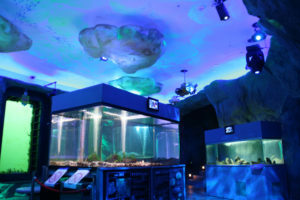 A museum where you can see real drift ice from the Sea of Okhotsk. The observatory offers an amazing view of the sea, with Shiretoko as a backdrop. Take a city tourism fixed route bus from JR Abashiri Station and get off at the "Tentozan (Ryuhyokan)" bus stop. 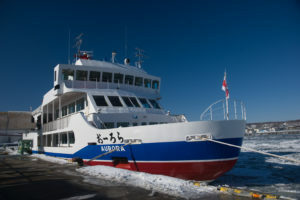 Go for a cruise through the drift ice on the Aurora Sightseeing Icebreaker Ship. Take a city tourism fixed route bus from JR Abashiri Station and get off at the "Michi-no-eki Ryuhyo Saihyosen Noriba" bus stop.